Starwars has always fascinated us over the decades and now we have these cool Starwars themed products to be part of your daily life. 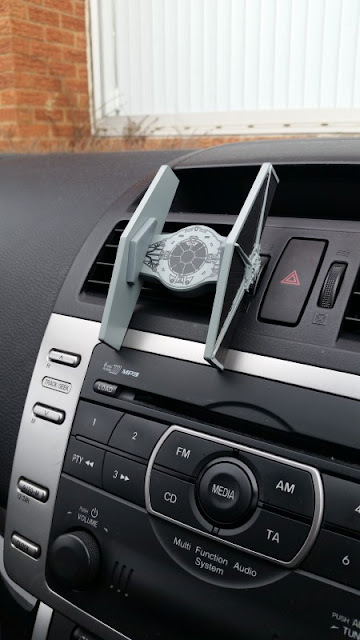 Starwars Car Phone Holder: The Starwars Car Phone Holder provides you 90-degrees of viewing rotation, works with mobile phones up to 8 cm wide, attaches to air vent and stays in your eyeline as you drive. Buy Now. 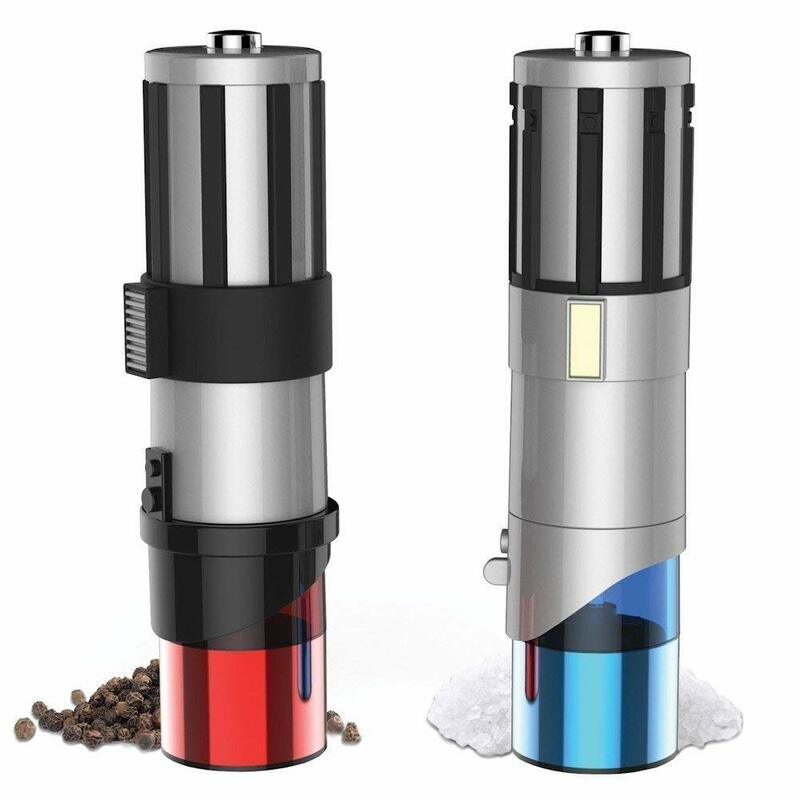 Starwars Salt and Pepper Shakers: These Starwars Salt and Pepper Shakers are just the thing you need to give a Starwars touch to your kitchen. These feature ceramic mechanism and you can easily adjust them to get either fine or coarse spices as per your requirement. Buy Now. 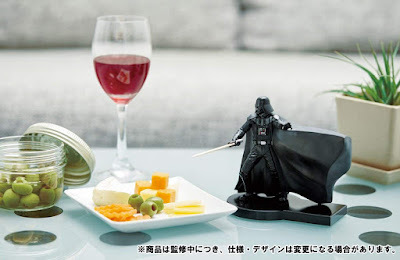 Starwars Toothsaber Toothpick Holder: The Starwars Toothsaber Toothpick Holder hands you useful toothpicks for those delicious hors d'oeuvres. Buy Now. 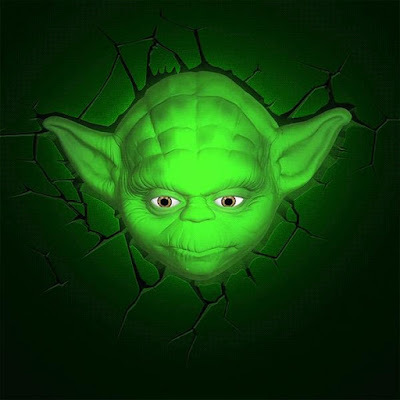 Yoda 3D Deco Lights: The Yoda 3D Deco Lights is just the thing you need to light up the Dark Side of your room. Buy Now. 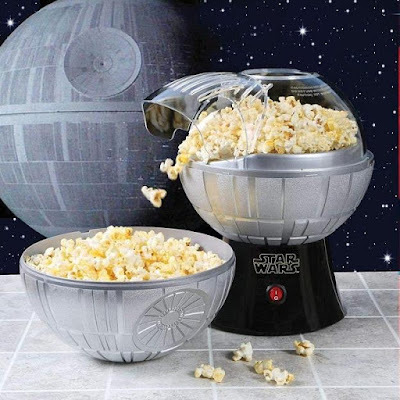 Starwars Popcorn Maker: The Starwars Popcorn Maker uses hotair to make delicious popcorns. Its top half doubles as a serving bowl. Buy Now. 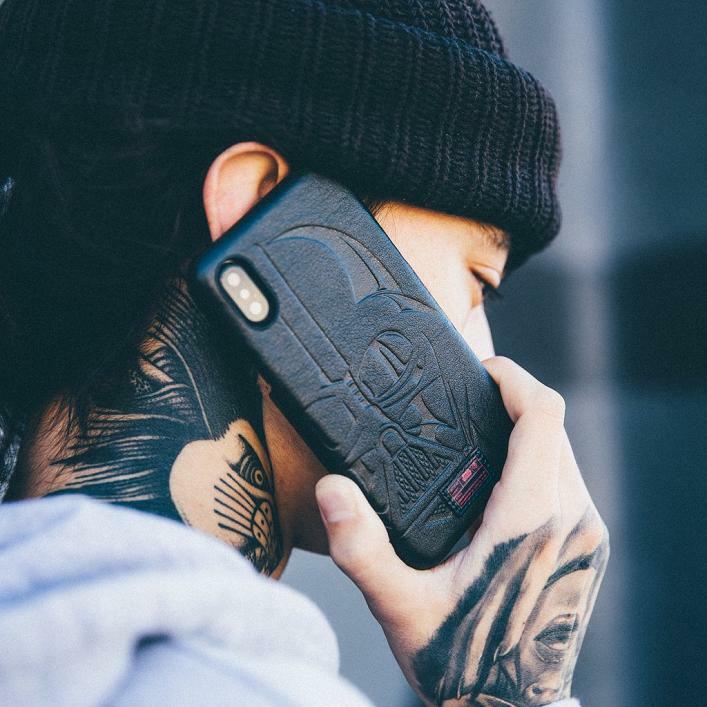 Starwars iPhone X Case: The Starwars iPhone X Case is made from leather and polycarbonate, and features a raised front bezel for extra screen protection. Buy Now. 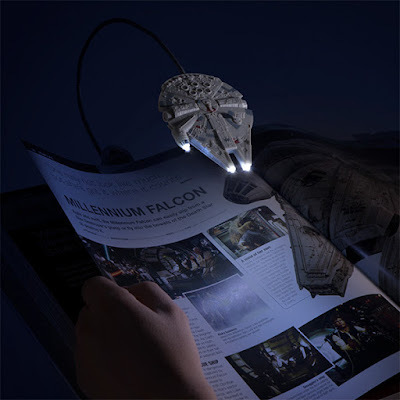 Millennium Falcon Book Light: The Millennium Falcon Book Light can be attached to pages of the book or the novel you are reading and illuminate the pages for easy reading. It automatically powers off after 30 minutes. Buy Now. Starwars Luke Skywalker Landspeeder: The spacecrafts and the vehicles from Starwars always fascinated all of us and we even wanted one for ourselves. Now is your chance to give it to your kid. 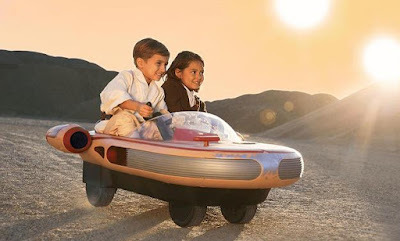 This cool Starwars Luke Skywalker Landspeeder features an interactive dashboard with lights and real movie sounds, has seats for 2, and with a 5 mph driving speed. Buy Now. 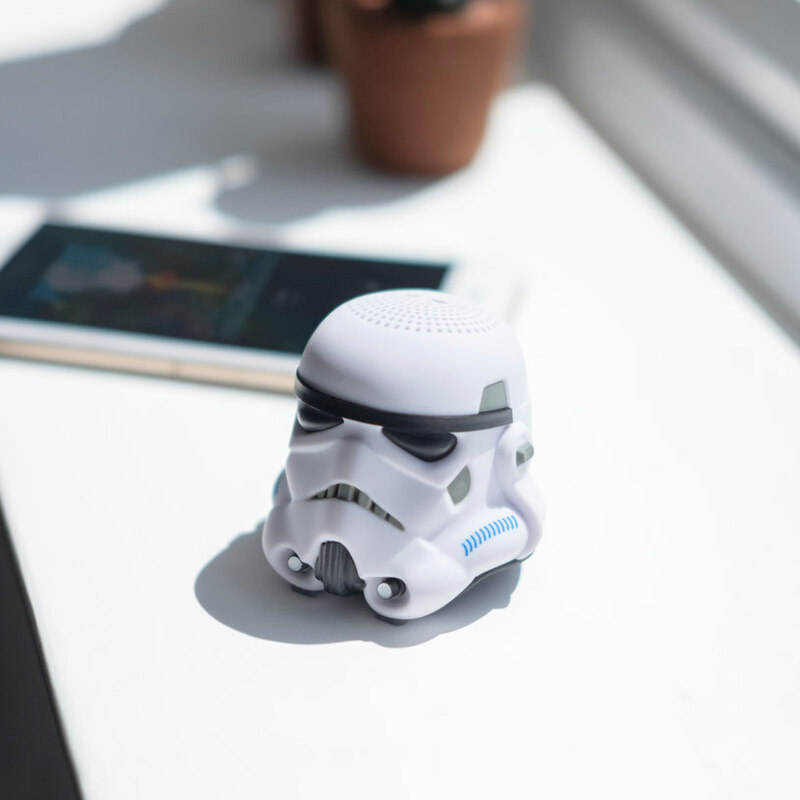 Starwars Helmet Bluetooth Speaker: The Starwars Helmet Bluetooth Speaker is a 2W mini Bluetooth speaker is an exact scaled-down replica of the original 1976 helmet created for use in Starwars: Episode IV. It wirelessly connects to your smart device via Bluetooth, comes with a built-in microphone for making and receiving phone calls and its power button doubles as a shutter for long-range selfies. Buy Now. 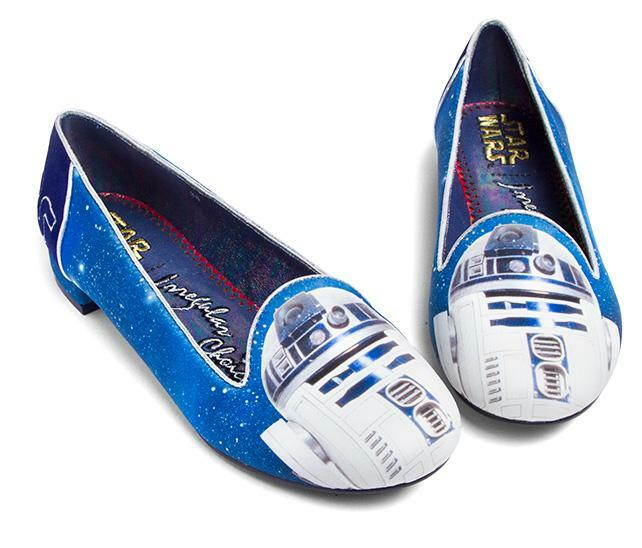 Starwars R2-D2 Flats: R2-D2 is one of our favorite droids, and now he is here as a footwear design. Buy Now. 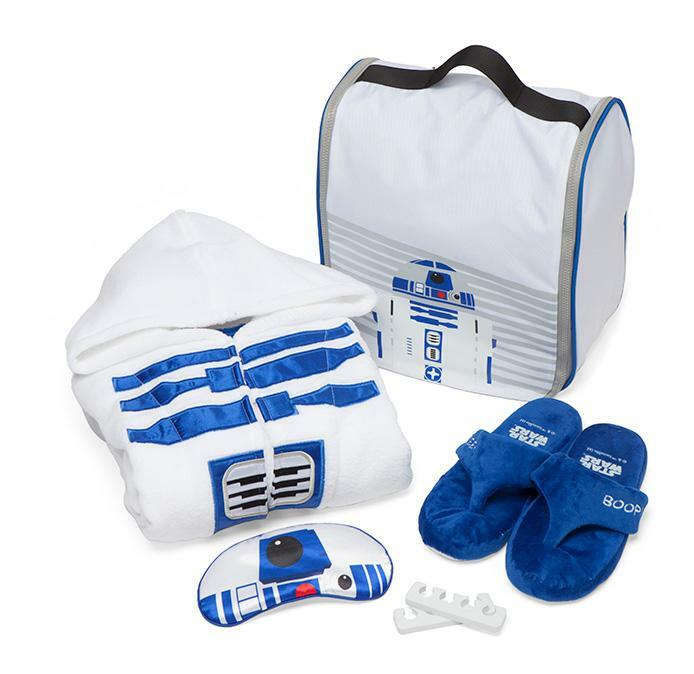 R2-D2 Spa Set: The R2-D2 Spa Set is just the thing you need to create your own Intergalactic Spa Day. It includes a robe, slippers, a satin eye mask, and toe separators, all with an Artoo theme. Buy Now. 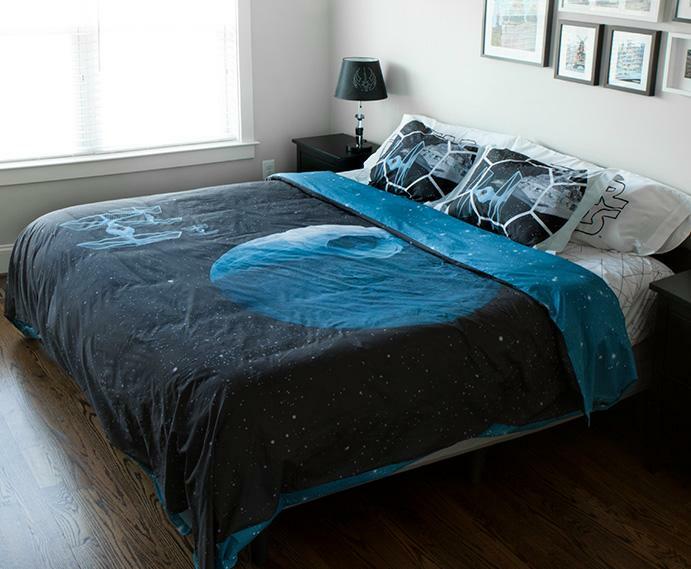 Starwars Bedding: Which side are you, the Dark Side or Light Side? This cool Starwars Bedding is just the thing you need to give a touch of Dark Side to your bedroom. The Duvet Cover includes shams, plus a reversible duvet cover, sheets and pillowcases. Buy Now.